Can’t wait to share with you guys more on my very first time, ladies and gentlemen! Well, the day will be coming no matter how… so here we are! The place that we going to have our first time… in aesthetic treatment! One of Malaysia’s leading aesthetic clinics, Premier Clinic believes that all individuals are beautiful and aims to bring your inner beauty to the surface. They strive to provide advanced care in the field of aesthetic medicine, and to boost both the confidence and outlook of all our patients. Whether you need a simple service or a long, complicated treatment, team of full trained professionals will ensure you receive best aesthetic care with their array of available services. Their Friendly Staff greet you even before you get into their clinic; their nice smiling face is just what we need to ease our nervous before we stepping into the clinic! While waiting for the doctor, we were lead to the waiting room. Believe me that you will feel so comfy and privileges here! However, do not doubt the professionalism of the doctor, they will still very honest in giving their advice and comments on you. DR AARTHI MARIA FRANCIS, our doctor of the day, giving us very honest comments on our facial problems. Medical degree from Manipal Academy of Higher Education. Masters in Aesthetics, Anti-aging and Regenerative medicine; and is also trained by the American Academy of Aesthetic Medicine. She also has qualifications in practical dermatology with University of Cardiff in Wales. member of Society of Aesthetic, Anti-Aging & Regenerative Medicine Malaysia (SAAARMM), Malaysia Society of Aesthetic Medicine (MSAM), Malaysia Medical Association (MMA), World Anti-Aging Network, International Hormone Society and Gethsemane Medical International. 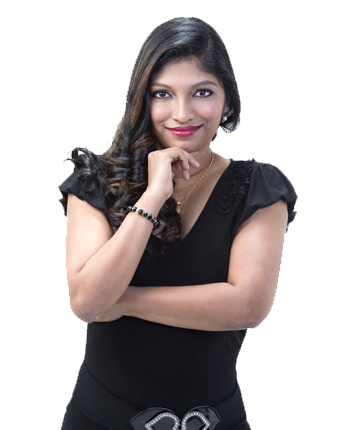 Elected as Auditor in the recent AGM for the Society of Anti-Aging, Aesthetics & Regenerative Medicine (SAAARM) – a bonafide Aesthetic and Wellness Society in Malaysia. In addition, this experienced doctor has now gotten involved in educational activities for aspiring aesthetic doctors. She was invited to be a lecturer for the Professional Certificate in Aesthetic Medical Practise (PCAMP) – a training programme that caters to local and foreign medical graduates interested to pursue a formal training in Medical Aesthetics. Yea! As you all know, my eye bags and wrinkles around my eyes is the most serious problem on my face! She just points it out and advises me to try on Botox on my eyes side and my forehead. Due to my acting career, I still needed to do a lot of facial expressions, so she suggested not too much Botox on my forehead while put more on around my eyes to reduce my wrinkles. Great suggestion I would said, because I really afraid that Botox would affect my acting performance! For example, you won’t see any wrinkles on my forehead while I’m Frown! Isn’t it so weird? OMG… Don’t ask me to even think about it! After we consult by the doctor, we rush to another appointment and then we came back again in the next week after my packed schedule! They lead us into waiting room while they preparing for the treatment. And our very first time of aesthetic treatment start here!! I can feel my skin around my eyes getting tighten after the Botox injection, and honestly, it’s kind of headache, which they said it’s normal. After around 4 hours, the feeling is gone, and after 1 day, tadaaaa~~~ My wrinkles around my eyes is gone, and my eye bags seems smaller than before!! This is the perfect result that I’m hoping for! Thanks Premier Clinic and Doctor Aarthi! Do check out our video edited by my baby girl-Vicky too ya! Don’t worry guys and girls! It’s just aesthetic treatment, not a plastic surgery! I’m still plastic free human being! Hahaha~ any one of you would wish to have aesthetic treatment in Malaysia? Trust me, check em’ out! Espensive? Nope! Affordable price for professional services! ENJOY 10% DISCOUNT on any aesthetic treatment in Premier Clinic by mention my name WINDZ NEOM from windzneom.blogspot.com ! Do share it with your friends ya! Nice, always been afraid to do anything to my face. Would like to gibe this a try. I have done the laser treatment here! It fells really good and the doctor is incredible! most welcome! do try it out ok?! yea exactly. they are all pro in this line!